In his 43 years as a professor of Political Science in the College of Liberal Arts and Social Sciences, Dr. Robert Carp has profoundly touched the lives of countless Cougar students. But his commitment to the students and the university won't end when he retires from teaching. Dr. Carp recently made an estate-planning decision to leave a planned gift to the institution he loves. For Dr. Carp, an endowment made perfect sense. It is a reflection of his commitment to the university and it also represents his unwavering belief in the faculty and the university's ability to continue offering the highest caliber of education to future Cougars. 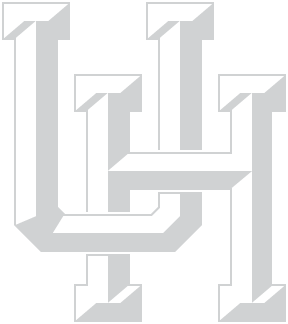 "It is just natural for me to give to University of Houston," said Dr. Carp. "I never minded going to work since I enjoyed it so much — I drive to work every day with a smile on my face. This has been what put the bread on the table, so I want to give back." Through his will and a contract with the university, Carp will financially endow a chair in the Political Science Department and provide other financial support to the students and institution that have been integral to his life. Shortly after earning his doctorate in political science from the University of Iowa in 1969, Dr. Carp began his career at UH as a professor of political science. His specialty is Public Law, which includes Constitutional Law and Judicial Process — his most frequently taught courses. Dr. Carp delights in constantly learning from his students who often challenge his way of thinking. Over the years, Dr. Carp has witnessed the university evolve as the student body diversified. Incoming freshman enrolling at the university now represent a broad range of economic, social, racial and educational backgrounds. Because of their varied backgrounds, these students bring with them a decidedly different perspective and approach to the world. In turn, these students have given Dr. Carp a new vision and a renewed passion for teaching. One of Dr. Carp's greatest pleasures in life includes cheering alongside enthusiastic families as students he has mentored over the years cross the stage to receive their long-awaited diploma. For many of these students, their diploma represents the hopes and dreams of their entire family. They are often the first person in the family to earn a college degree. Dr. Carp's commitment to his students resonates with many of them long after they graduate. With the help of the Internet and alumni networks, Dr. Carp keeps in touch with many former students who have continued to reach out to him for guidance and recommendations over the years. Susan Scarrow, chair of the Political Science Department, said Carp's gift expresses his trust in the faculty's ability to educate future students. "He thinks our students are the future and I think it's more than a wonderful gift, it's also a wonderful message because it shows that you don't have to be the Cullens to do this kind of thing," Scarrow said. "Even ordinary people can have the resources, if they plan right, to make significant gifts that can considerably help our university." Dr. Carp has several charities that he supports, but leaving an endowment to UH made the most sense. Supporters like Dr. Carp ensure the faculty, students and city progress and benefit from a brighter future. Dr. Carp said he is happy to give back to the place that has given him so many good memories. "I am so lucky because I like what I do and who I am," said Dr. Carp.